Our personalised Single Wall Cup is perfect for serving not just cold beverages, but hot ones too! Its single wall design incorporates one layer of very high-end quality board, capable of being custom printed with your brand. To serve hot, simply slip a sleeve on your custom printed cup. CupPrint’s Single Wall Cup is perfect for serving juices, soft drinks, or chilled water at any event or conference, as well as for general use in restaurants, businesses, cafes, and shops. With a sleeve, use it to carry your hot coffee or tea. The printed paper cups also serve as a one-of-a-kind advertising channel. 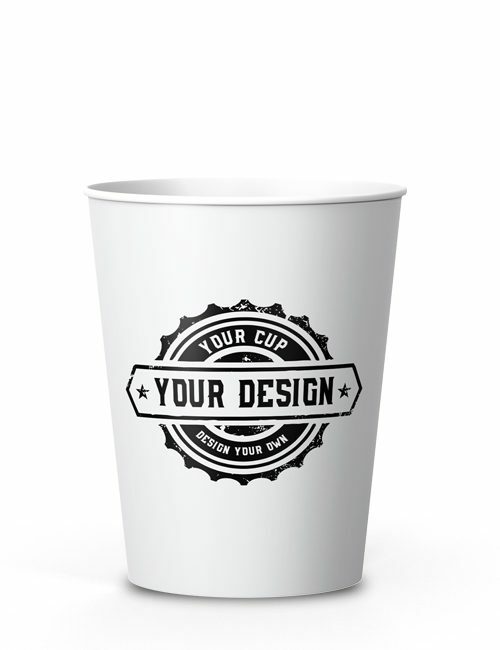 Carry your brand everywhere with these custom printed cups. The wall of this cup is a very rigid 310 gm boxboard which creates extremely durable, high quality personalised paper cups. Our 8 oz Single Wall Cup can be printed with food safe and odourless full colour or process inks. We lean on the highest resolution possible to make the images on your personalised paper cup appear nothing short of flawless. The resulting professional display communicates top-notch branding. All Single Wall Cups can be purchased in orders as small as 1,000 units, as large as 250,000 units, and everything in between. We process purchases quickly and deliver to you within 14 working days! Let us cater to your individual business needs today! 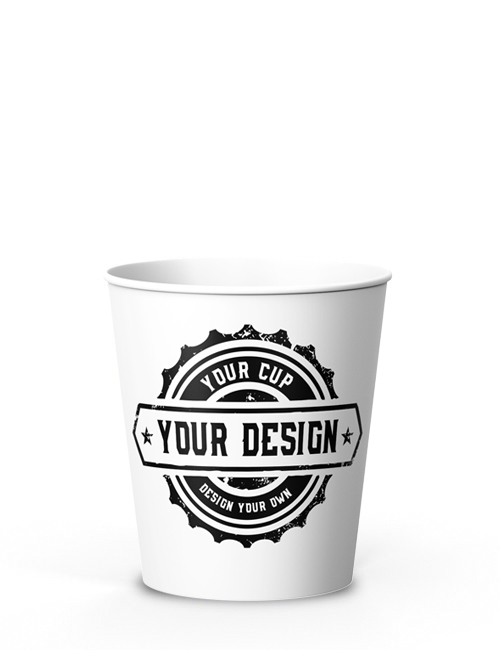 We look forward to working alongside you to design and deliver your perfectly printed paper cup. For your individual Single Wall Cup 8 oz design we provide you here our rectangular template as PDF for download.